The shop is equipped to handle various turning jobs up to 12 inch diameter and threading of many American Standard NC and NF as well as Metric threads. Light milling and keyway cutting, both external and internal is available as well. 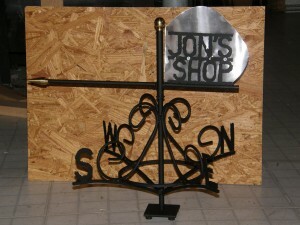 I have a variety of tools for forming ornamental ironwork. Welding of most metals is available, as well as plasma and bandsaw cutting. In addition to machining and fabrication, I am able to handle most any outdoor power equipment repairs. 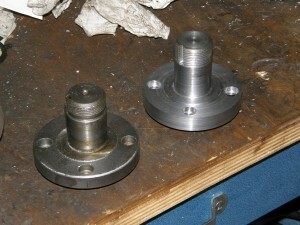 I also offer electrolytic rust removal for iron and steel parts. In addition to metal work, I have 3-d printing capabilities up to about seven inches cubed.